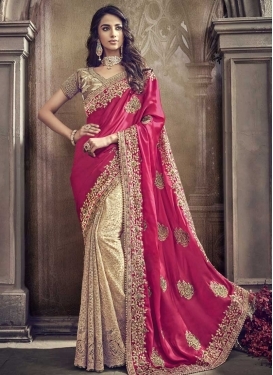 Our magnetic selection of Indian wedding sarees are designed to keep you at the center of attention on your long awaited special day. Clearly, you're already fabulous in the eyes of your significant other, family, friends, and acquaintance. Why not turn your amazingness up a few notches for an occasion that's definitely worth it? 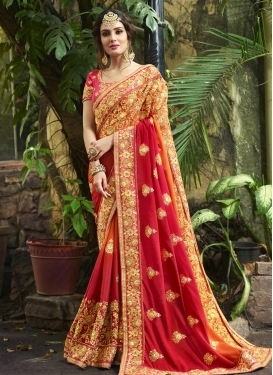 FashionWebz takes pride in making every woman's dream come true in the world of Indian fashion. Our desire is to have every female see herself for the Queen that she is every time she looks in the mirror. 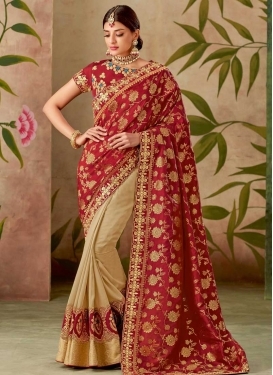 In an Indian wedding saree that's brilliantly designed, it will be easy to envision the imaginary crown on your head as you pronounce your love in front of guests. We also believe that finding the right dress shouldn't result in headaches and unnecessary pain. Our simplistic checkout process will have you ready to go in a breeze, and your items will be shipped without any issues.